WELCOME TO G HANNELIUS FAN, YOUR BEST ONLINE RESOURCE FOR ACTRESS G HANNELIUS. YOU MAY KNOW G FROM HER ROLE AS "AVERY" IN "DOG WITH A BLOG" YOU'VE ALSO MAY HAVE SEEN HER IN OTHER DISNEY SHOWS AND MOVIES. HERE YOU'LL FIND ALL THE LATEST NEWS, PHOTOS AND MORE! FEEL FREE TO CONTACT US WITH ANY QUESTIONS , COMMENTS OR CONCERNS. WE HOPE YOU ENJOY THE SITE! THANKS FOR STOPPING BY & HOPE YOU VISIT AGAIN! Check out G's new app called "Make Me Nails" Which you can create your own nail wraps. Make sure to check out your app store! G Hannelius Fan is not an official site. We are NOT affiliated with G, the Hannelius Family, their agency or management. 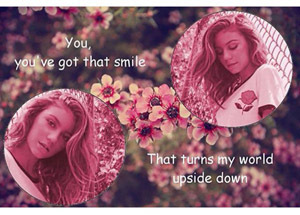 All Graphics are @ G Hannelius Fan unless stated otherwise. All images are copyright to their respective owners/photographers, no infringement is intended. If you have any question, please contact us. G has worked on two projects this summer. One i’m not sure what it is for and another is called Timeline..I believe. I don’t know much about it and once I do..I’ll post a section up for it in the gallery and let you guys know more about it here. I would post the photos up on the gallery but…i’m not sure if it’s a movie, a show or a short film etc..
Make Me Nails Are Back!! AHHHH!! G is in College! I can’t believe she’s already in college..boy time flies by quickly! She started college on the 26th of this month.